It’s hard to believe Spielberg will have to stop making movies at some point in the next 20-30 years, for, you know, biological reasons. It’s hard to believe because he’s still churning out stuff like this. 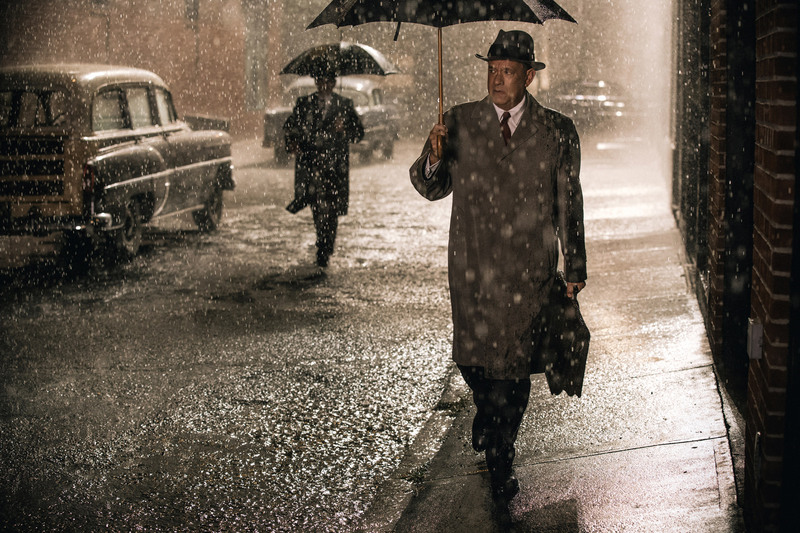 Apart from a stunning U2 bomber crash sequence, Bridge of Spies is a triumph of quiet tension. It’s a tension that always threatens to boil over at any moment, like the very best Cold War flicks. It’s a tension that is there in every glance, every unspoken word, every shadow on the street. It’s a tension that only the very best director could contain and depict. The only let-down of this film, and this is a very tiny let-down, is that I felt some of the cinematography was a little trite. Let me get this clear, 98% of Kaminski’s work is utter brilliance, as per normal. But I feel like some of the shots may have been overdone somewhat. My viewing companion mentioned lens flare on par with Abrams, and while I probably wouldn’t go that far, some of the lighting was way off. Spielberg always has a knack of mixing very familiar faces with several unknowns, or at least somewhat-knowns. Hanks is typically amazing, even when his role threatened to tip into Charlie Wilson territory. The casting of Rylance as his foil, however, was genius. Rylance is probably known to a few cinephiles that are even more dedicated than I, but I wasn’t able to remember his face from anything. On looking him up, I see he’s a lauded stage actor, which doesn’t surprise. The delicacy of his role — as a proven traitor to the USA — is handled with great deftness and humanity. And the supporting cast — Alda, Koch, Shepherd, Matthews — feel right and natural, even if (or probably because) they’re pretty much typecast. Overall, Bridge of Spies is up there with Spielberg’s best. Can’t wait for the bluray special features.